Next weekend will mark my seventh C2E2 (the only year I missed was 2011), and I only (ha!) have four panels this year, so hopefully I’ll have more time to wander Artists’ Alley and catch up with friends. 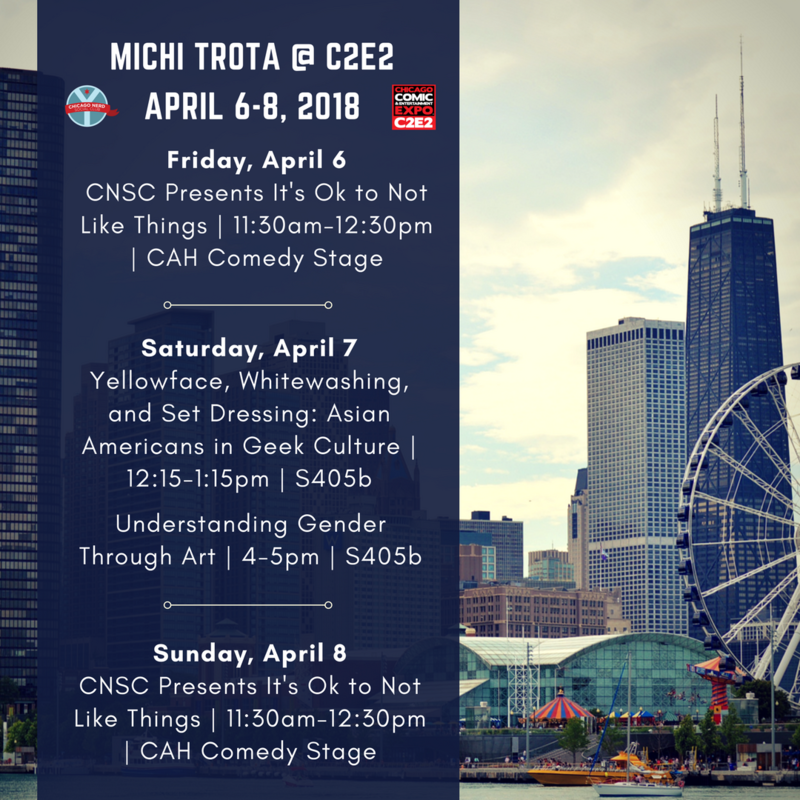 This entry was posted in Cons, Culture, Event, Panel and tagged art, Asian American, C2E2, Chicago Nerd Social Club, comics, diversity, geek culture, gender, panel, pop culture, representation, whitewashing, yellowface by Michi Trota. Bookmark the permalink.